Luxury fashion house Gucci celebrated its equestrian heritage with fun and frivolity at the Gucci Private Suite on Derby Day. 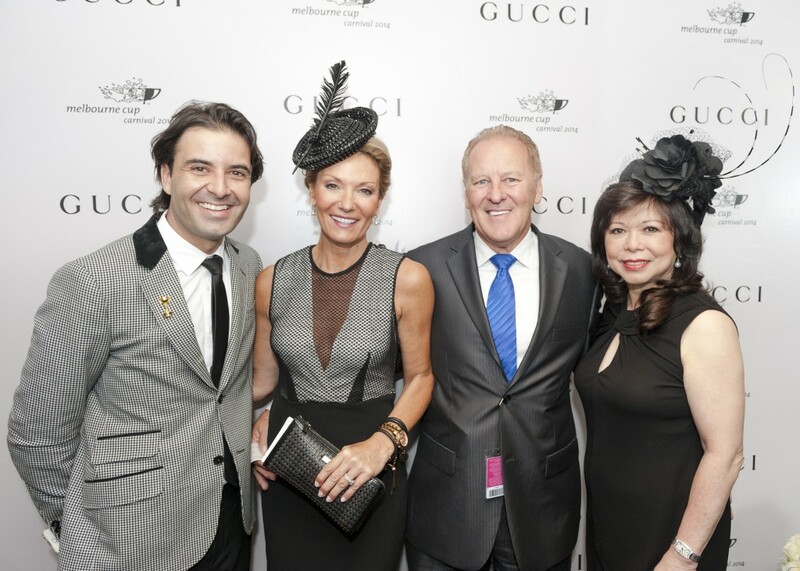 Gucci hosted VIP clients, media and special guests at the exclusive Gucci Private Suite on Derby Day which has been custom-designed in Flemington’s Hill Stand, located directly above the finishing line. 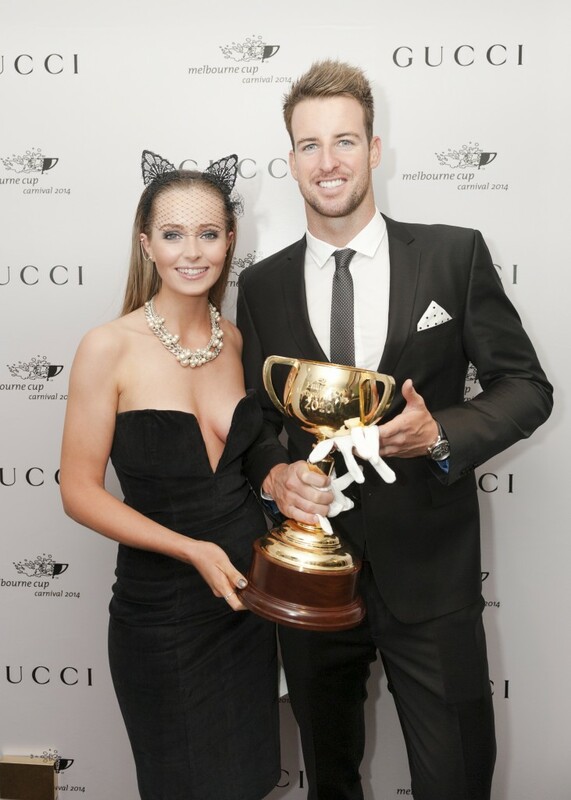 With sweeping views of the racecourse and city skyline, guests at the Gucci Private Suite enjoyed free flowing Champagne, a tailored menu by Ashley Hicks, head chef of renowned Melbourne restaurant Circa. Since being founded in 1921 by Guccio Gucci, equestrian has been a constant source of design inspiration for the house with equestrian motifs featuring prominently across the brand’s product offering. The classic Gucci ‘horsebit’, taken from a horse’s bridle, has become synonymous with the quality and Italian craftsmanship that Gucci is renowned for, featuring on loafers, handbags, scarves and wallets. 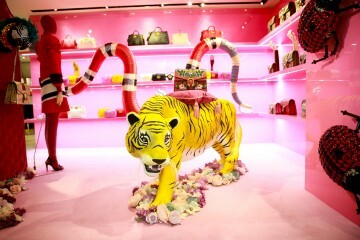 Gucci’s iconic and striking ‘green-red-green’ canvas webbing was originally appropriated from a horse’s girth strap, and in 2014 will again form the colour palette and on-course branding for the Gucci Stakes race on Oaks Day. 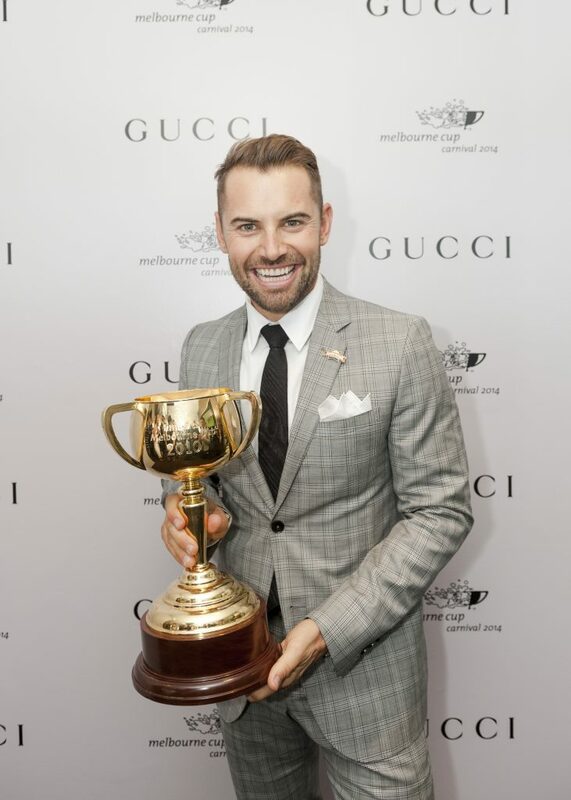 This year will be the luxury fashion brand’s sixth consecutive year at the prestigious Melbourne Cup Carnival and in addition to the brands presence at Flemington, Gucci will exhibit equestrian window displays at its newly opened Collins Street Men’s and Women’s stores.